PT. 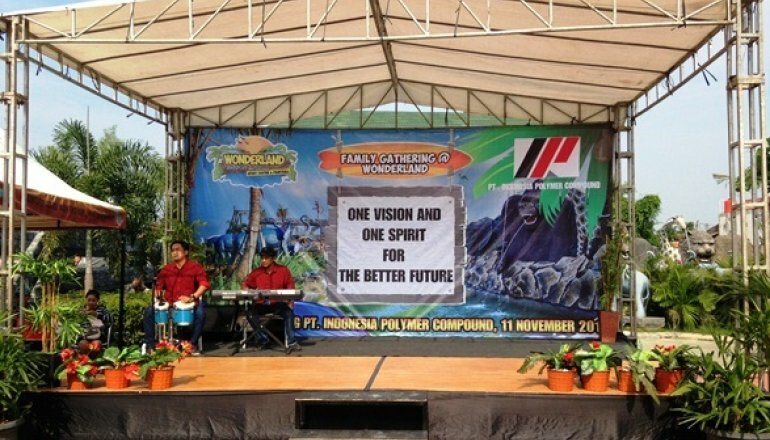 Indonesia Polymer Compound as a manufacturing and sales company in the field of plastics compound has a commitment to always maintain, improve and develop a clean and healthy environment continuously and sustainability. This commitment is held by all levels of management and employees. To be able to fulfill this, a program of a systematic and controlled system of environmental management system for all activities, work operations and environmental influences is provided. Obey environmental government regulation and related industrial standards applied in Indonesia. Try to improve environmental performance continuously to prevent pollution and reduce the industrial waste produced, with implementing the Environmental Management System. Maintain natural resources by reducing raw materials and energy consumption, according to company activity. Implementing a system designed to protect and minimize risks to employees, community members, the public citizen and the environment. Communicate these environmental policy commitments to all employees, suppliers, subcontractors and customers and more over open for the public. Continuously looking for opportunity to improve compliance for these principles, with executes periodical review of the desired objectives and target in order to create healthy environment.